Top Ten Tuesday was created by The Broke and the Bookish, and is now hosted by That Artsy Reader Girl. It’s all about books, lists and sharing the love we have of both with our bookish friends. This week, I’m going rogue with a twist on an old topic. Don’t judge a book by its cover, they say. But it’s very hard not to sometimes. Great cover art grabs my eye – bad cover art can stop me even picking a book up to look at the blurb. Call me shallow, call me foolish – and yes, I’m sure I’ve missed out on some great reads for my cover snobbery – but cover art does count, even in this age of digital books where you never have to see it again once you’ve bought it. Sure, the author counts for far, far more and the cover blurb can still put me off however good the cover – but a good cover is the difference between whether I read the blurb at all. Last year, I did a top ten of my favourite covers. This week, I’m going to talk about books I know I bought at least in part because of their cover… and how that turned out for me. I’ve tried to find artist credits, but it’s surprisingly hard – let me know if you know any I missed! I adore an unjacketed hardback, and that goes double when it’s etched or embossed or otherwise decorated. 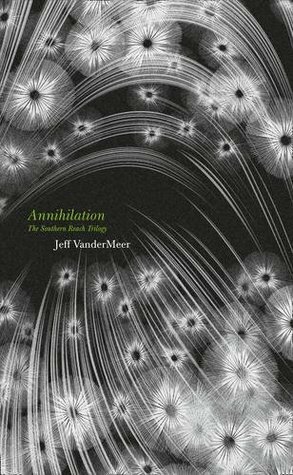 I know I picked Annihilation off the shelf in Forbidden Planet because it was so pretty (as are Authority and Acceptance) – and when I read the blurb I wasn’t wowed but I wasn’t put off – but I couldn’t put that gorgeous book back down. So I bought it (and really enjoyed it, phew! Can’t wait to see the film). I love the UK covers of the Wayfarer books. They’re majestic, yet humbling. I remember glimpsing Small Angry Planet on a shelf in Waterstones and literally just stopping and staring at it. I picked it up, read the blurb, and was on a book buying ban and didn’t buy it. But every bookshop I went into from there on in, I stopped to look at it. And when I eventually stopped resisting, I lost my heart on the spot. Such an adorable book (see also: the US edition of The Space Between the Stars). Snow, glass bauble, white rose, slight fussy old-school font – tick, tick, tick, tick. And the colour. Wintersong is just beautiful, and I loved it at first sight (which was online). It’s even more gorgeous in person – one of those books that once you have, you must read. I’ve just finished the sequel, Shadowsong (also very pretty, and equally good). Look at that face. Look at that face! This is just glorious artwork – her fierce face, that tight grip on the rope, the wrapping of the bodice, the hint of armour in the shoulder straps, the suggestion of skirts and seawater. This screams epic and beauty, and is almost as good a story in microcosm as the novella itself (which is amazing). To be fair, I’m pretty sure I’d heard of this book before I ever saw the cover art, but LOOK AT THAT COVER. OMG. I can sit and stare at it all day. The lighting on those features. The swirling red that turns into an Incan hummingbird. There’s a version without the red smoke which I think I like even more. The book is just as brooding and intense. Apex Magazine has an amazing track record with cover art and the cover for The Kraken Sea may not have tentacles, but it’s another gorgeous bit of artwork, all impressionist and brooding (yes, yes, I know, spot my biases. Yes, I have font biases too, and this ticks that box as well). I haven’t read this one yet. Ahem, so let’s run down the check list of things I like: amazing colour palette, hazy impression of a cityscape, fab font, oh and impressive geology and flying craft! This says exciting to me, and while I’ve lost all track of what it’s about I’m really looking forward to cracking it open and reading it… but let’s not pretend I didn’t pick it up for the cover art. The blurb just didn’t put me off. This cover captures some of my other biases: almost photo-realistic, featuring people you can’t actually see (see also: silhouettes, random body parts – erm, preferably attached tho! ), mood lighting and a good bit of scrollwork around the font. There’s also some lovely detailing on the piano keys, which makes me happy. The book, sadly, isn’t all that. Have you ever bought a book (in part) because of its cover? All the time – I’m drawn to good covers, a complete cover tart and I really don’t care if it’s wrong. Covers are important, they attract attention. Apex have some of the most amazing artwork ever – and, I also picked up The Explorer off your list, simply for the cover – although I haven’t read it yet. Cover Tart = I love it. Can we get tshirts?? You picked some very pretty covers. I also really love The Long Way to a Small Angry Planet, Certain Dark Things and Wintersong. Out of them I have only read the long way and only own Wintersong. I still need to get a physical copy of The Long Way but this cover doesn’t seem to be out in hardback? Ugh, yes same. I got the hardback for Christmas from hubby. The frustration of non matching series! I definitely buy books based on covers! And I do love The Kraken Sea cover, although I wasn’t crazy about the story. I love the Penguin Clothbound Classics and I bought the hardback set of Miss Peregrines’ Home For Peculiar children because they are lovely. I would love a set of my favourite series: The All Souls Trilogy by Deborah Harkness, can’t decide between US or UK covers though and pricey! There’s plenty of Labyrinth fanservice in Wintersong, but I think in a good way. And Liesl feels very different to Sarah, which I think is a good thing! I wish I had that edition of ASOIAF covers! They can be so expensive to buy nowadays! But I think you may be the first person I’ve heard of that pick up (or partially picked up) the series for it’s cover. That’s actually pretty cool! I couldn’t agree more about The Long Way to A Small Angry Planet. I had to buy the UK version of that one and the sequel because I love the cover so much. I’ve never been that impressed with the various Game of thrones covers either- I agree that one is better. Too Like The Lightning is a nice cover too! I’m always drawn to eye-catching covers too and have several based on covers alone. I do like that Game of Thrones cover. It’s much better than the one I have, which if I hadn’t wanted to start the series so badly, I probably wouldn’t have purchased, lol. I have to say, I love that you’ve given the artists credit. I share a lot of covers on my blog, and I rarely mention the artists, which is terrible, and I’ve thought about that, but even when I do look sometimes, I can’t find it, especially if I don’t own the book, and it’s so much extra work. So I applaud you! Anyway, I can see why you bought these for the covers! I’ve always loved the cover for Wintersong, and you’re right, the artwork on The Drowning Eyes is gorgeous. The Kraken Sea is another pretty one. And yes, everything you said about The Explorer! I hadn’t seen that one until now, but I love the starkness and simplicity and the pop of color and even the asymmetry between the top and bottom! Thank you – it does mean it takes forever to do posts about covers, because it’s so hard to track down (and if the designer actually works for the publisher rather than being commissioned, practically impossible unless you trip over their portfolio). But I like to make the effort to squee about cover art from time to time and to cherish the artists who give it to us 🙂 Glad you appreciated it!